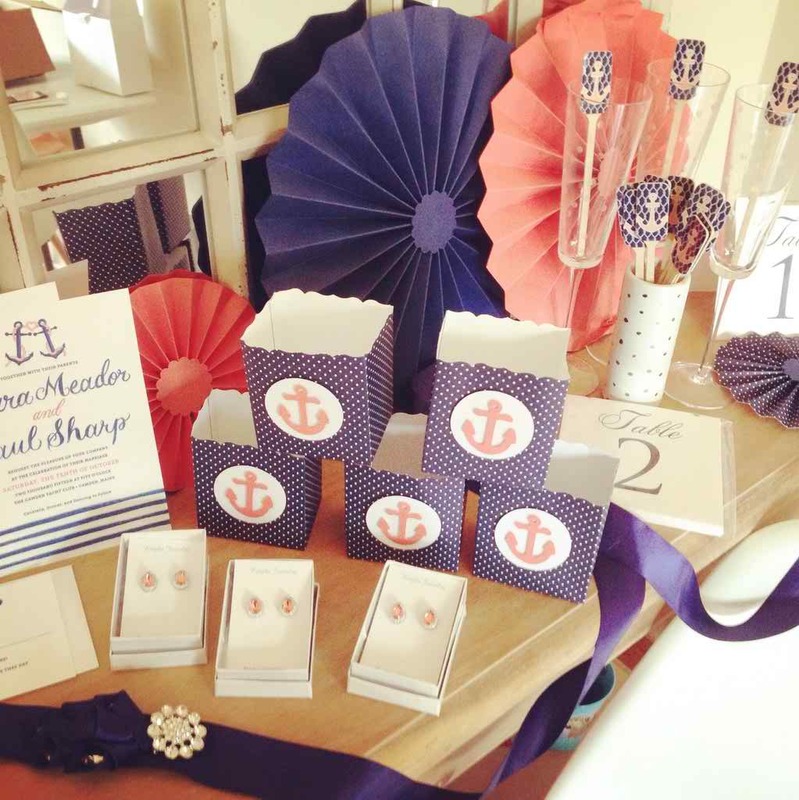 The Ultimate Giveaway for the Nautical Bride! Anchors aweigh! And some exciting news, you guys! I recently got together with my #ProGuideVendor family and we coordinated THE Ultimate Instagram Giveaway for the Nautical bride! With a gorgeous color palette of navy blue, coral, and white, these handmade pretties would be so perfect for your upcoming wedding, bridal shower, and/or party! Invitation suite from Mospens Studio. Custom drink stirrers from Company Forty Two. A set of table numbers by Lavender Paperie. A custom backdrop + custom favor bags by Beautiful Paper Crafts. Three sets of sparkle stud earrings by Estylo Jewelry. Gorgeous blue bridal sash with crystal accent by Gadegaard Design. Want a chance to win it all? Entering to win is easy! To enter please see this post for ALL the details! Mospens Studio, Gadegaard Design, Company Forty Two, Beautiful Paper Crafts, Estylo Jewelry, and Lavender Paperie are members of our guide. Click here to see how to become a member! 2 Comments " The Ultimate Giveaway for the Nautical Bride! " Show me the steps to clear or delete browsing history from any of search engine.Before i was so frustrated with this but thanks that i have you this informative tutorial.